REACH Westchester is an automated application system that has transformed the county's paper recertification process for Temporary Assistance customers into a more efficient, streamlined process. This innovative process enables customers to complete their recertification interview independently through the use of a user-friendly, in-office kiosk. REACH is a secure system that will not reveal any personal or confidential information. 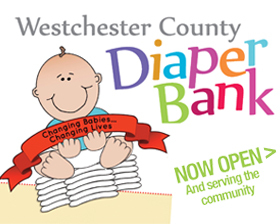 REACH Westchester can also be expanded to include online access over the Internet and can be used remotely by anyone in need of Social Services. Other areas under consideration for the remainder of 2011 and beyond are Temporary Assistance, Food Stamps and Medical Assistance household changes (the case maintenance issues that come up between recertifications such as moves, family changes, employment, etc.). Additionally, once REACH is accessible on the Web, DSS would like to partner with local community-based organizations, in addition to contractual vendors. This will allow mutual customers, in most instances, to use those organizations' facilities to access a computer and the Internet.